If we were having coffee I would welcome you into my living room and offer you something yummy. How about some homemade churros? Not too much cinnamon, I hope. I’ll be dipping mine in coffee, but I’ve made some Mexican cocoa for the kids, so you can have that. Or tea if you prefer. After the usually catching up, I would ask you to forgive my recent obsession with alliteration. Looks like I have the Blogging A to Z Challenge on my mind. And why wouldn’t I? There’s less than two weeks until show time! Since you’re also doing the challenge too, you’ll fill me in on your progress. I feel surprisingly ready this year. Heather and I worked out a great plan and it’s shocking how on track we are. Our theme is fun, every post is planned, and my hubby made us a custom A – Z letter logo image that rocks! I’m starting to get excited about it! I know I’ll make friends and learn something new everyday. 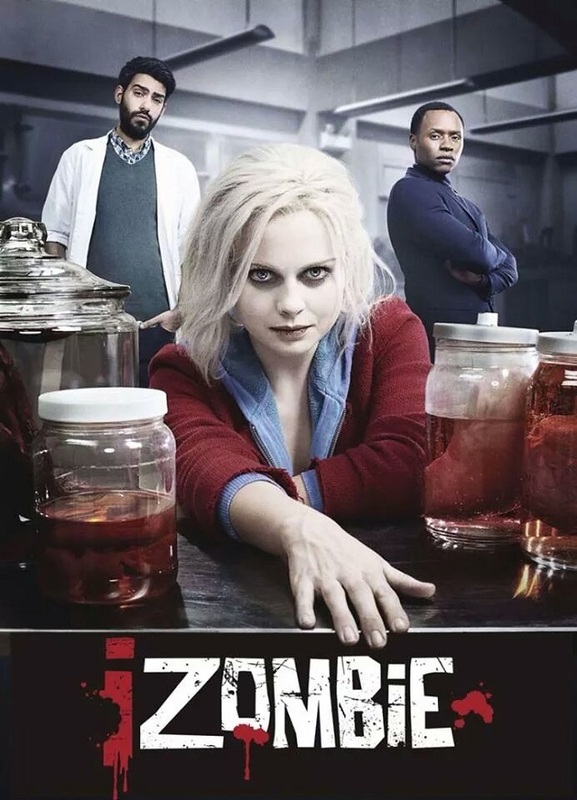 As we power down the sweets, we compare notes on the new CW show, iZombie. This was the show I told you about two weeks ago and now we are both hooked. We talk about how smart the writing is and how well they use juxtaposition. When I say two of the secondary characters get all the best lines, you argue. You think it’s too early to know for sure who has the best lines. We both agree the writers found a good balance between seriousness and one-liners. I’ll admit to feeling good about how the characters are shaping up. I think the show will have a good first season. During the visit I would tell you about my latest home remodeling adventures. Who knew mixing mortar was a full body workout? Not me, that’s for sure, or I would have rented a mixer. It took forever, but I have a pretty walkway that runs from the kitchen door to the main sprinkler box. No more muddy footprints! Okay fine, I have two kids and three cats; there will still be muddy footprints, just not as many. One of the many perks of buying an old house is I’m learning a lot. If I ever want to write about a house flipping protagonist, I’m good to go. Plus, it’s teaching me new and better ways to use my Trello account. I do love my Trello and consider it the best tool any busy writer could have. Things are going well with our visit. You’re telling me the funniest story, when my son’s cat, Zip, brings in a dead something and places on your toes. The face of a killer! I’ll remind you it just means he likes you. Of course, you’ll look unconvinced. 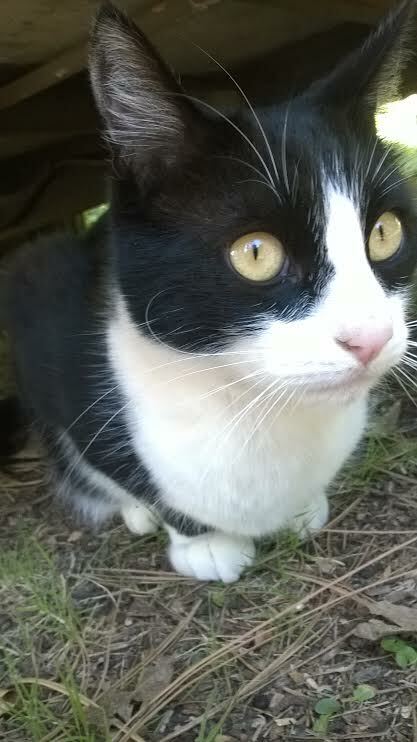 I’ll tell you that since moving into this house Zip’s constant wildlife conquests have taken some getting used to. We got our first Wolf Spider a few weeks back, and those are scary-looking spiders. They’re all hairy like tarantulas, but with sharp claws at the end of each leg. Yet they are still nowhere near as unsettling as these big guys. I almost feel like I should carve a cartouche on them, dip them in gold paint and sell them on Etsy. 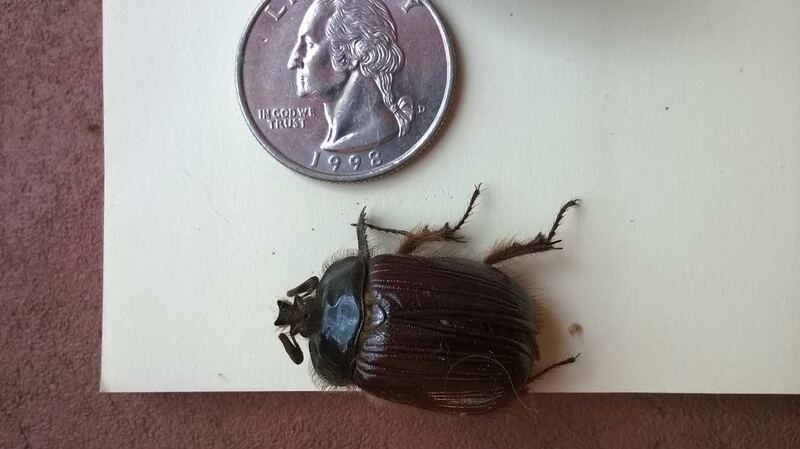 They make a perfect fake Egyptian scarab beetle. After a while the kids will start bugging us every two seconds. They want me to take them swimming. Yes, swimming has come to California. We will wrap up our visit and say goodbye. Since we both have blogging A to Z next month, we make plans to meet back at my place in May. By then we should have lots to talk about. 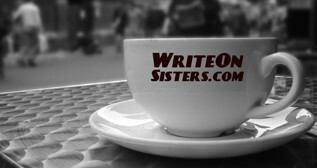 If We Were Having Coffee is a blog hop inspired and run by the lovely and talented Diana at Part Time Monster. Please drop by her place for coffee. You can also see what other bloggers are up to by checking out her hashtag: #WeekendCoffeeShare on Twitter. I don’t believe I’ve told you, before now, that I love the concept of this blog. The image of having coffee is really nice. You’ve given me a great idea this time. Several years ago, I remodeled a kitchen and a bathroom because I couldn’t get a contractor to look, let alone make an estimate. So I saved a bunch of money and learned a lot–so much in fact that I’m thinking about gutting the second building on my property, which I have been using as a garage, and making it into a house. It used to be a neighborhood grocery store, so it’s big enough. Anyway, point is, I’ve got a character from one of my short stories that I’d like to get back to but I couldn’t figure out what to do with her. Now I know! Home building or remodeling. Maybe leading a Habitat for Humanity crew–frame story with the family that will live in the house embedded. Thank you, thank you. The possibilities are endless! You always have such nice comments, thank you so much! It’s shocking how much you can learn by doing something yourself. I don’t know how all these new home repair skills will come into play in my own fiction writing, but I am thrilled to hear that you made a connection. We have a wonderful local Habitat for Humanity chapter, so I like that idea a lot! : ) Good luck, and let me know how it works out. We do need more iZombe and now! I felt like it should have had an extra long pilot, I had so many questions. I’m just glad spiders and such don’t freak me out too much. The kids love it, they jump on the net and start researching. I’m used to the spiders over here and they’re nothing compared to your neck of the woods – I’d be researching too and children always inspire excitement so I’m sure I’d get over my phobia pretty quick! Snakes are my thing, I hate snakes! When Zip brings home snakes – I am not amused!!!! My youngest daughter doesn’t like snakes either. When she was really young she wouldn’t walk on grass because worms freaked her out! She got over that, but not her phobia of snakes. For me it’s wasps, and though I know how ridiculous it is to freak out when I see one, I just can’t help it. They look evil, creatures sent straight from hell! I’m with you, Melissa. Bees and wasps BAD! I was stung by a Tarantula Hawk and it was the most painful experience of my life. I don’t want to scare you, but in case you just need to know. I love the show! Only seen the pilot so far, but I was really impressed! It is really good. I love the dialogue, it’s so snappy! I think the show must have a great writing team. Next Next post: April A to Z Theme Reveal!